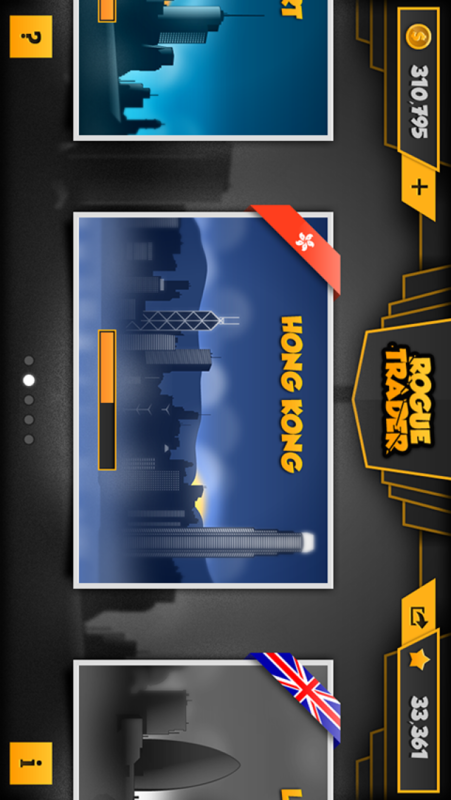 RogueTrader is the first arcade trading game ever released on iPhone! Your goal is simple: bring home the big bucks and make it to the top of Wall Street. 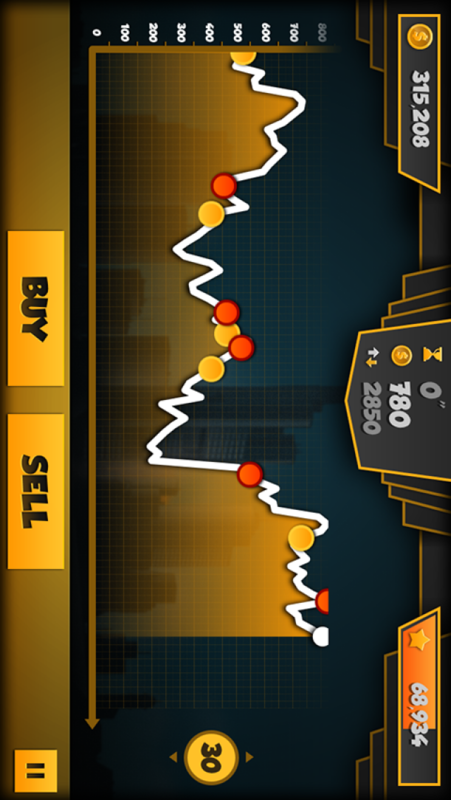 RogueTrader is based on a virtual randomly generated stock, which makes it a no brainer to play: ‘buy’ if you think the stock will shoot up or ‘sell’ if you feel the opposite. You don’t need a finance background, only big b*lls and a huge ego. 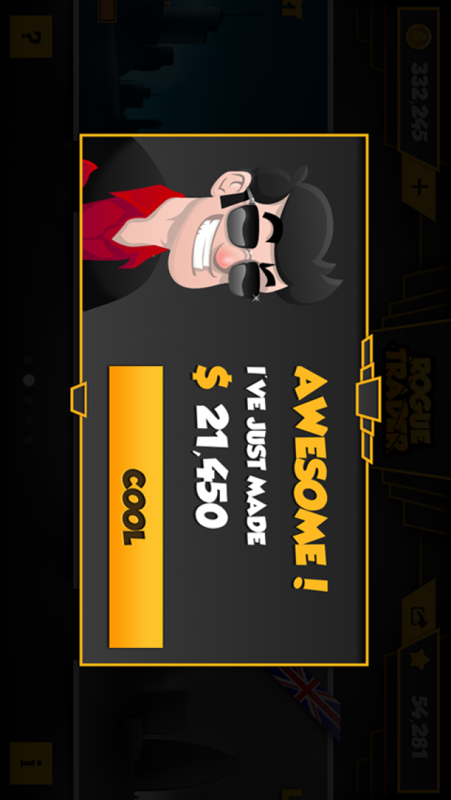 You embody Mick, a young ambitious trader, which is eager to prove himself in the trading world. Make profit, gain experience and progress through your career. But be careful... the further you go, the more volatile is the stock, which means bigger potential wins - but also losses! Can you handle the pressure and make millions? Join us on http://getrogue.com and http://facebook.com/getrogue!